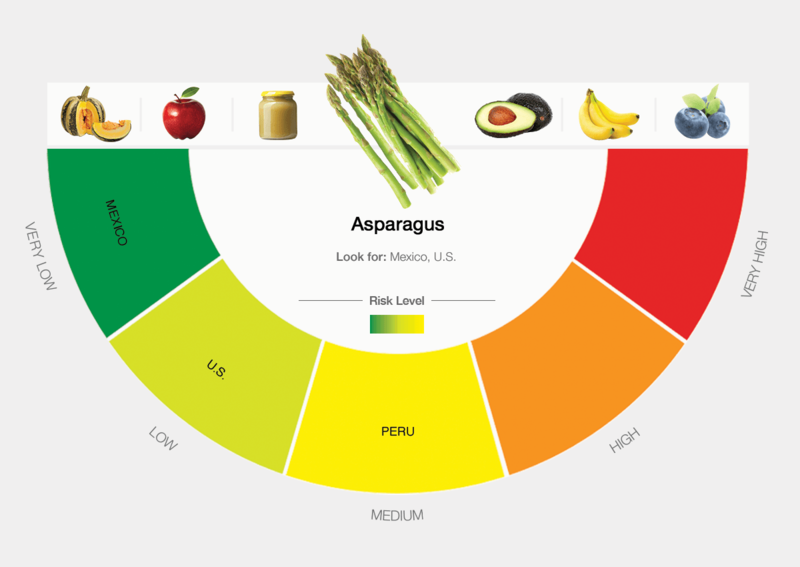 Across America, confusion reigns in the supermarket aisles about how to eat healthfully. One thing on shopper’s minds: the pesticides in fruits and vegetables. In fact, a recent Consumer Reports survey of 1,050 people found that pesticides are a concern for 85 percent of Americans. So, are these worries justified? 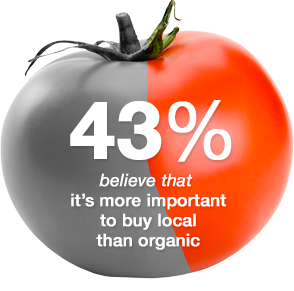 And should we all be buying organics—which can cost an average of 49 percent more than standard produce? 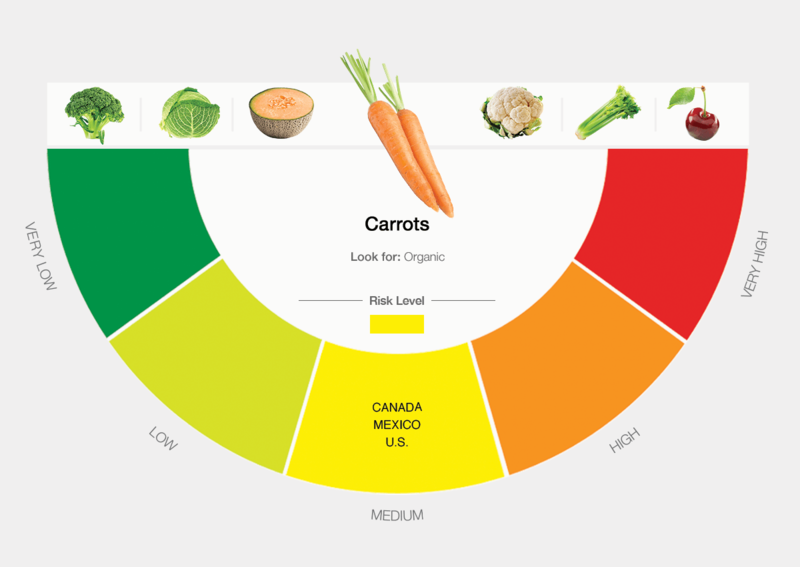 Experts at Consumer Reports believe that organic is always the best choice because it is better for your health, the environment, and the people who grow our food. 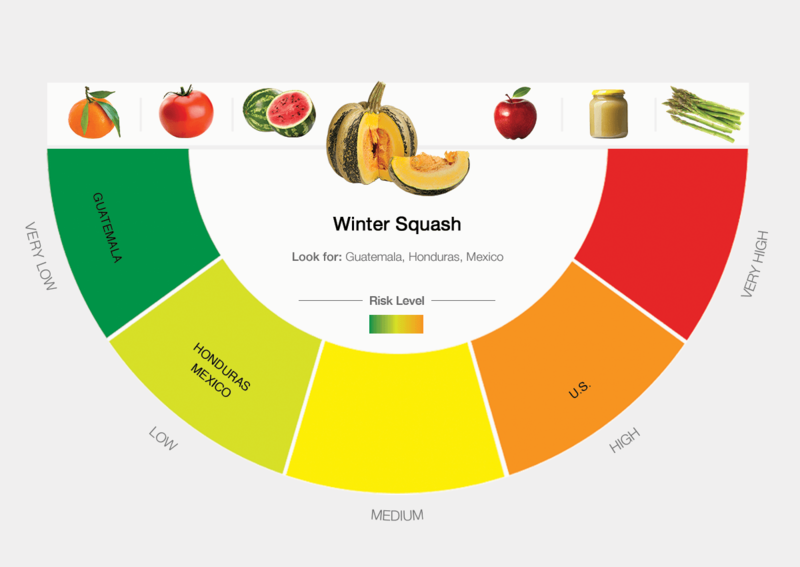 The risk from pesticides on conventional produce varies from very low to very high, depending on the type of produce and on the country where it’s grown. The differences can be dramatic. 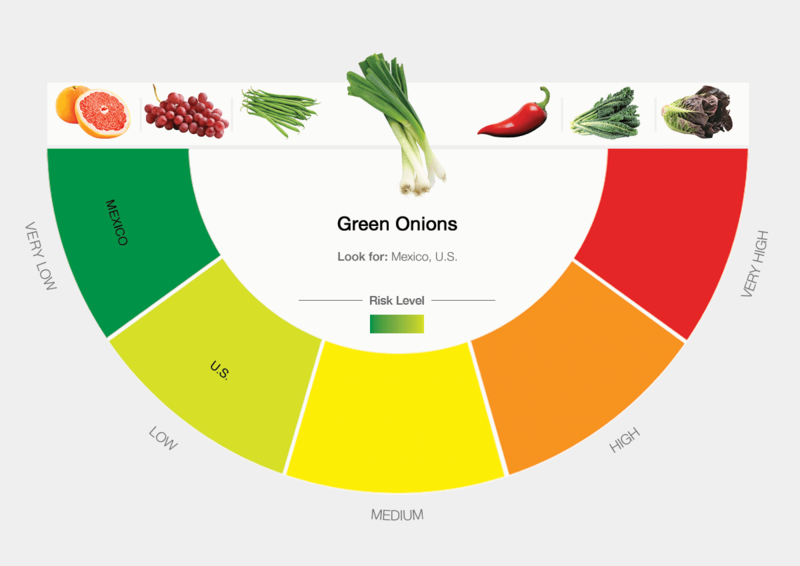 For instance, eating one serving of green beans from the U.S. is 200 times riskier than eating a serving of U.S.-grown broccoli. If you want to minimize your pesticide exposure, see our risk guide. 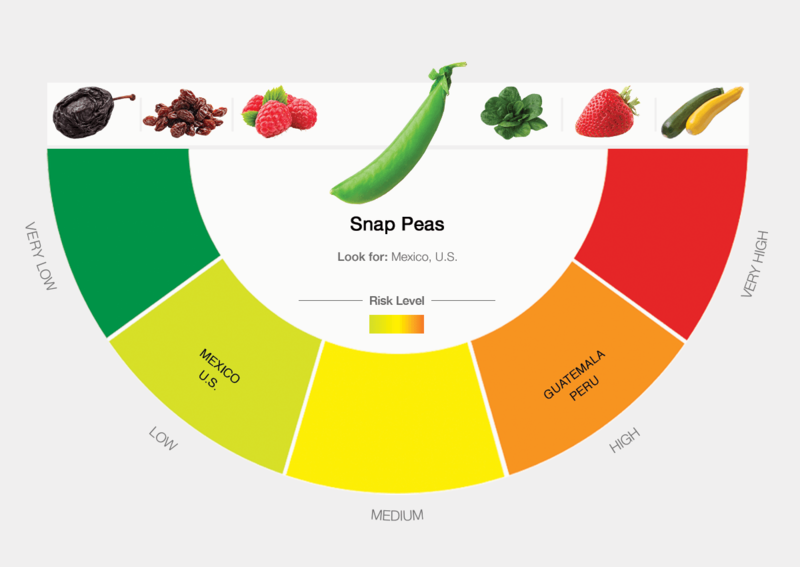 (Download our full scientific report, "From Crop to Table.") 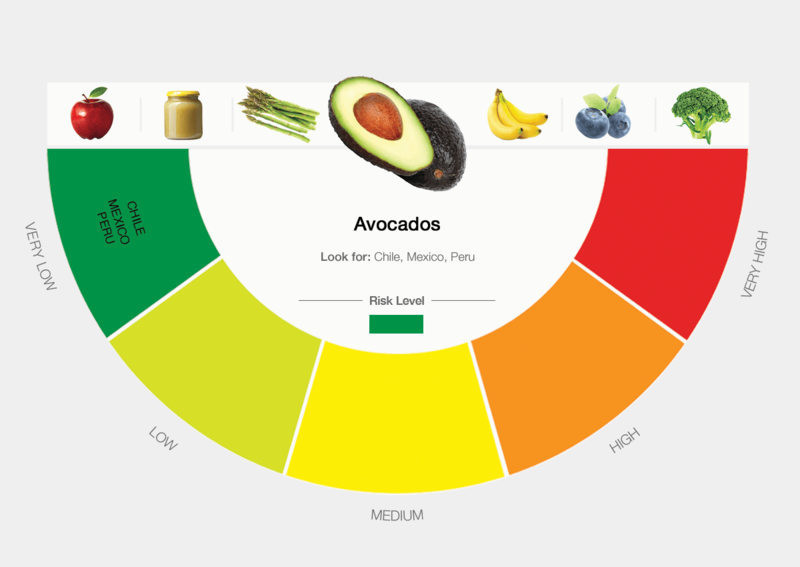 We’ve placed fruits and vegetables into five risk categories—from very low to very high. 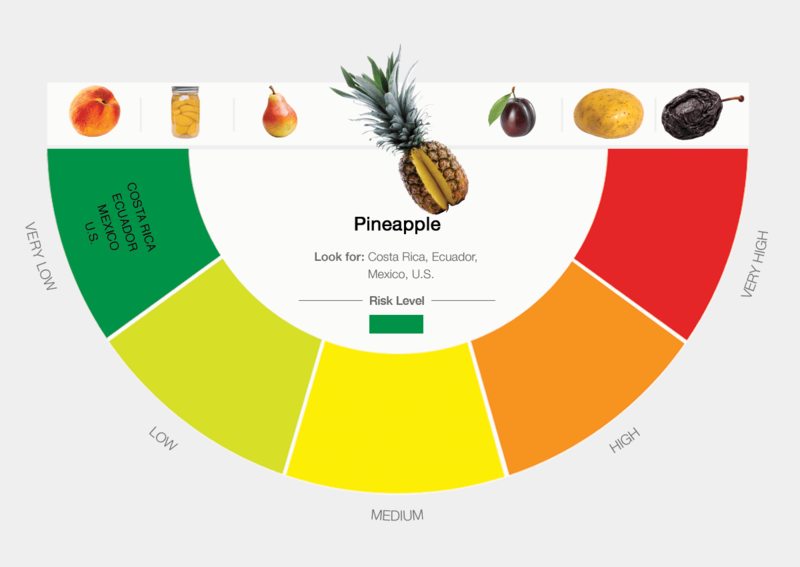 In many cases there’s a conventional item with a pesticide risk as low as organic. Below, you’ll find our experts’ answers to the most pressing questions about how pesticides affect health and the environment. Together, this information will help you make the best choices for you and your family. This tool shows the risk of pesticide exposure from eating 48 fresh conventional fruits and vegetables from 14 different countries. Analyzing 12 years of data from the Department of Agriculture’s Pesticide Data Program, Consumer Reports' scientists, in consultation with Charles Benbrook, Ph.D., of Washington State University, placed each produce-country combination into one of five risk categories. Risk assessment included the number of pesticide residues on each food, the frequency with which they were found, and the toxicity of the pesticides. 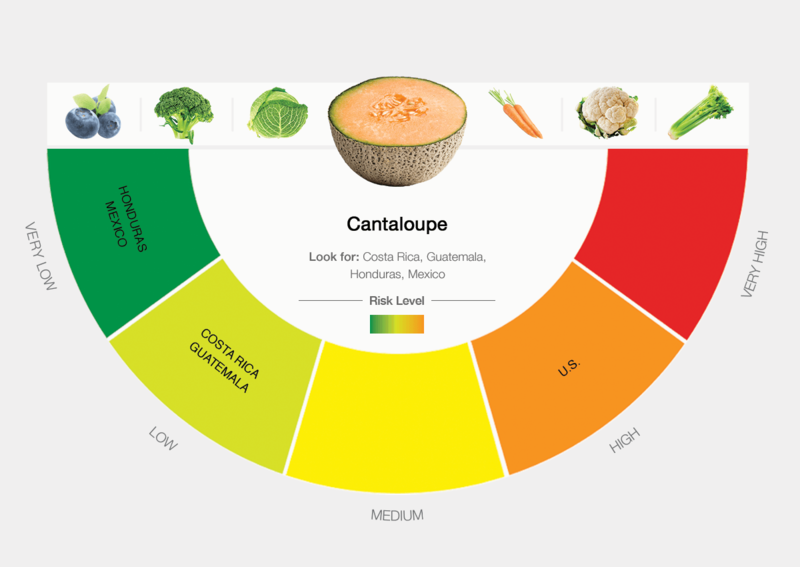 The risk categories correlate with the number of daily servings of that fruit or vegetable. We also took into account the typical serving size of the food and the weight of the person eating that food. Our analysis is based on the risk to a 3½-year-old child, estimated to weigh 35.2 pounds, because children are especially vulnerable to the dietary risks from pesticides and the EPA is required to consider the effects of pesticides on children. The risks to adults would be lower. How do you know where your produce is from? By law, supermarkets are required to tell consumers where the fruits and vegetables they’re buying were grown. It’s usually not difficult to find the country of origin, but that information is not always in the same place. Here’s where to look. On the box the fruit or vegetable was shipped in. 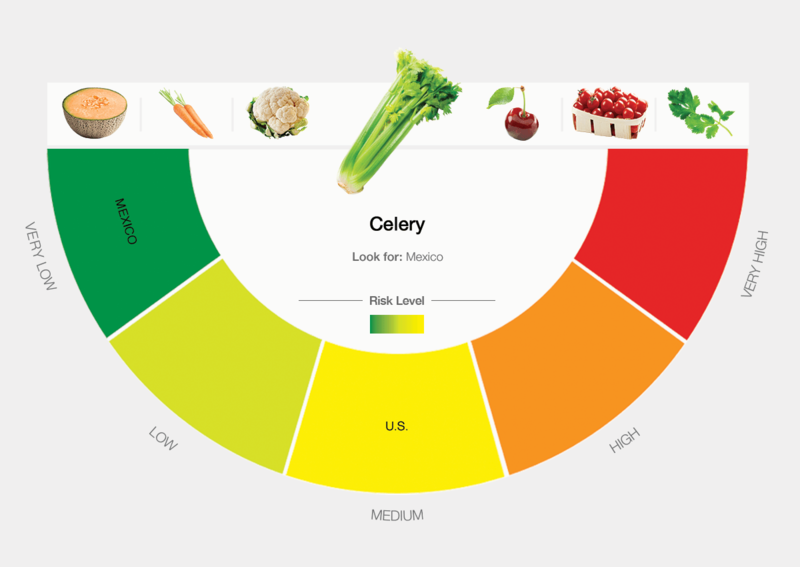 There’s data to show that residues on produce have actually declined since 1996, when Congress passed the Food Quality Protection Act. This law requires that the EPA ensure that levels of pesticides on food are safe for children and infants. Every year, the Department of Agriculture tests for pesticide residues on a variety of produce. In its latest report, more than half of the samples had residues, with the majority coming in below the EPA tolerance levels. “Conventionally grown fruits and vegetables are very safe,” says Teresa Thorne, spokesperson for the Alliance for Food and Farming (AFF), an organization that represents conventional and organic produce growers. But that’s not the whole story. Looking at specific produce items, you see that progress has been made for some but not others. Grapes and pears, for example, once would have been in the high-risk or very high-risk categories but now rank low. But others, such as green beans, have been in the higher-risk categories for the past 20 years. And there’s more to consider than just the amount of pesticides on the apple you eat. “Tolerance levels are calculated for individual pesticides, but finding more than one type on fruits and vegetables is the rule—not the exception,” says Urvashi Rangan, Ph.D., a toxicologist and executive director of the Food Safety and Sustainability Center. Our survey found that a third of Americans believe there’s a legal limit on the number of different pesticides allowed on food. But that’s not the case. Almost a third of the produce the USDA tested had residues from two or more pesticides. “The effects of these mixtures is untested and unknown,” Rangan says. The rest of us may not handle the stuff, but we are exposed through food, water, and air. The fact that pesticide residues are generally below EPA tolerance limits is sometimes used as “proof” that the health risks are minimal. But the research used to set these tolerances is limited. A recent survey from the Consumer Reports National Research Center of 1,050 Americans found that consumers have some misconceptions about pesticides and organic produce. Here, we separate the facts from the myths. FACT: Local is a term that is broadly defined. Organic, on the other hand, is a strictly regulated term, so you can trust that you're getting produce grown with minimal if any synthetic pesticides. FACT: This is true only up to a point. 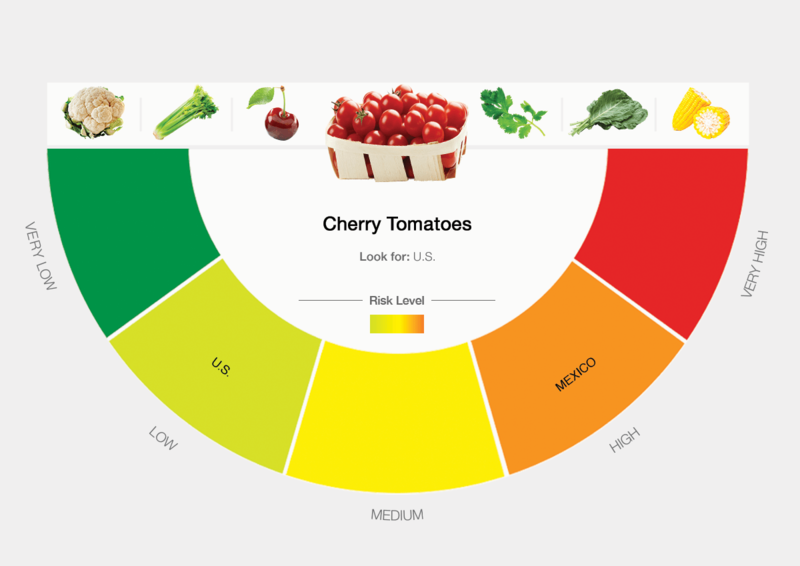 The USDA measures pesticide residues for the edible portion of a fruit or vegetable. That means inedible peels and rinds are removed. Who may be at greatest risk from pesticide exposure? Aside from farmworkers, it’s children. A child’s metabolism is different from an adult’s, so toxins can remain longer in a child’s body, where they can do more damage. Pesticide exposure can affect children’s development at many stages, starting in the womb. “Fetuses, babies, and kids are more vulnerable to the effects of pesticides because their organs and nervous systems are still developing,” says Philip Landrigan, M.D., director of the Children’s Environmental Health Center at the Icahn School of Medicine at Mount Sinai Hospital in New York. 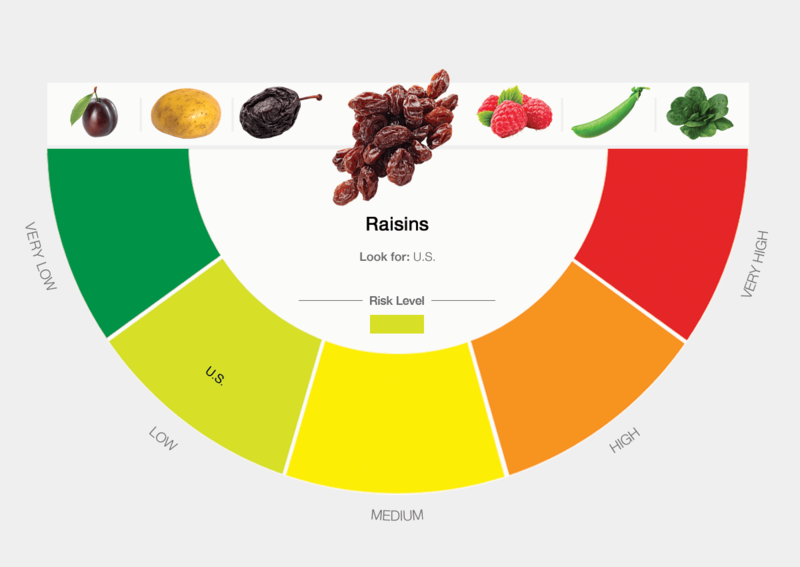 And children’s risk is concentrated because they eat more food relative to their body weight than adults. The health risks to children are significant. Even small amounts of pesticides may alter a child’s brain chemistry during critical stages of development. One study of 8- to 15-year-olds found that those with the highest urinary levels of a marker for exposure to a particularly toxic class of pesticides called organophosphates (OPs) had twice the odds of developing attention deficit hyperactivity disorder as those with undetectable levels. Another study found that at age 7, children of California farmworkers born to mothers with the highest levels of OPs in their bodies while they were pregnant had an average IQ 7 points below those whose moms had the lowest levels during pregnancy. That’s comparable to the IQ losses children suffer due to low-level lead exposure. The risk to adults is lower but still worrisome. 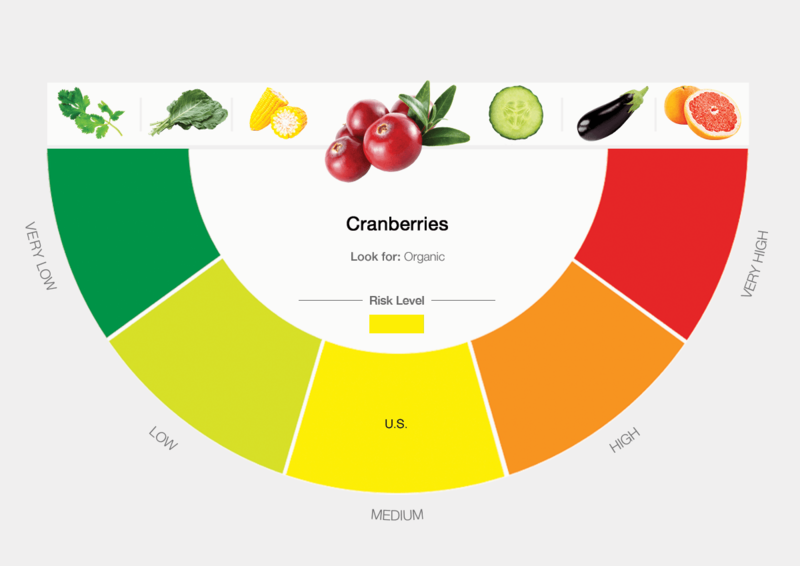 “Pesticide exposure likely increases the risk, first, of cancerous tumor development, and, second, your body not being able to control a tumor growth,” says Charles Benbrook, Ph.D., a research professor at the Center for Sustaining Agriculture and Natural Resources at Washington State University and a consultant to Consumer Reports. In addition, research has linked endocrine disrupters with fertility issues, immune system damage, and neurological problems. “However, unlike cancer, quantifying those effects is difficult at this time,” Crupain says. Learn about the effects of pesticides on farm workers and the environment. Does eating organic mean I won’t be eating any pesticides? There are two groups of agricultural pesticides: synthetic and natural. Synthetics are created in labs, and natural ones are substances that occur in nature. The majority of synthetic pesticides (and all of the most toxic ones) used in conventional farming are banned in organic farming, but pesticide drift can mean chemicals sprayed on conventional crops may find their way to nearby organic farms. 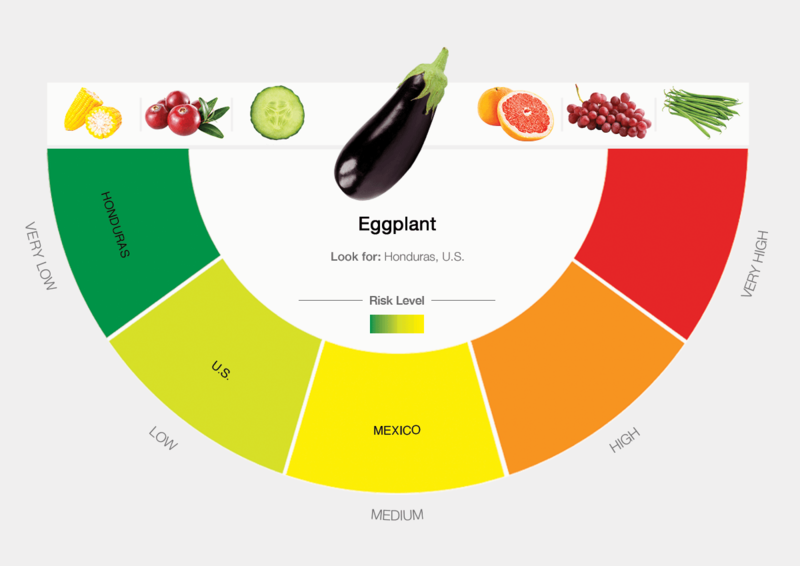 Still, all of the organic produce in our analysis fell into the very low-risk or low-risk categories. USDA organic standards allow for the use of certain natural pesticides and very few synthetic ones. “But you can’t compare conventional and organic farming in an oranges-to-oranges kind of way,” says Michael Sligh, a farmer, founding chairman of the National Organic Standards Board, and Just Foods Program director at Rural Advancement Foundation International. 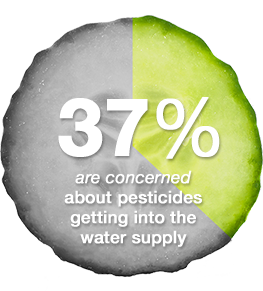 Can you wash away pesticides? 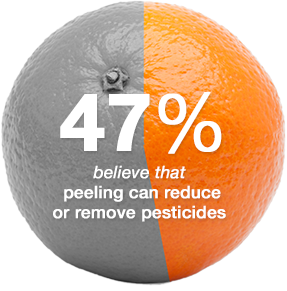 About half of the people in a recent Consumer Reports survey believe that peeling fruit or vegetables removes or reduces pesticides and 43 percent think you can remove them by washing. And they’re right—sort of. Rinsing can remove the surface residues, as well as dirt and bacteria. But you can’t completely wash away the pesticides—or the risk. Pesticides can stick to soft skins, and the wax coating used on some produce can trap pesticide residues. And some pesticides are systemic, that is they are taken up by the plant’s root system and get into the fruit or vegetable flesh so they can’t be washed off. What’s more, the USDA measures pesticide residues after produce has been rinsed in cold running water and/or inedible peels and rinds are removed. So the pesticide residues used to calculate our dietary risk guide are those that remain after the fruit or vegetable has been prepped the way you would at home. 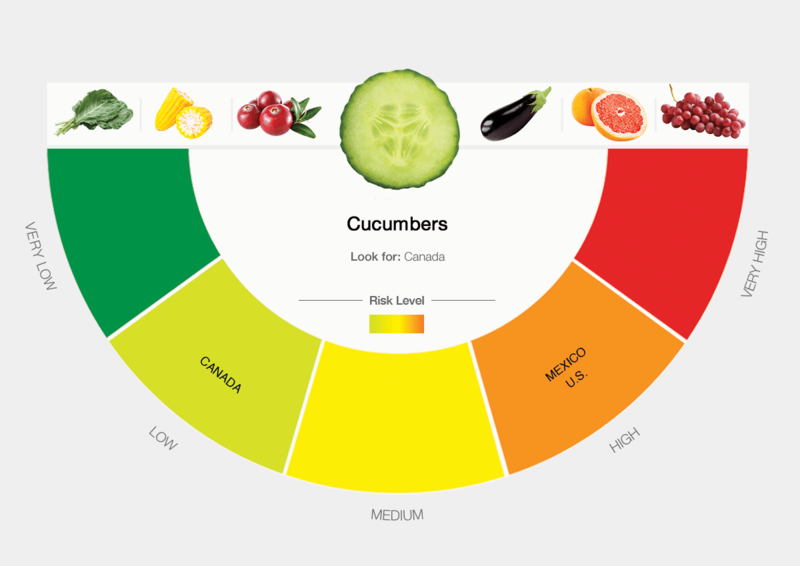 Wash your produce—conventional and organic—in running water. You don’t need any special washes. Researchers at the Connecticut Agricultural Experiment Station compared rinsing fruit and vegetables in plain water for one minute with washing them with vegetable washes (four different ones) and a solution of dishwashing soap and water. Water alone was as effective as any of the washes or soap. Rubbing produce with soft skins like peaches or using a vegetable brush on harder items like potatoes or carrots will help remove residues, dirt and germs. Should I skip conventionally grown produce? No. 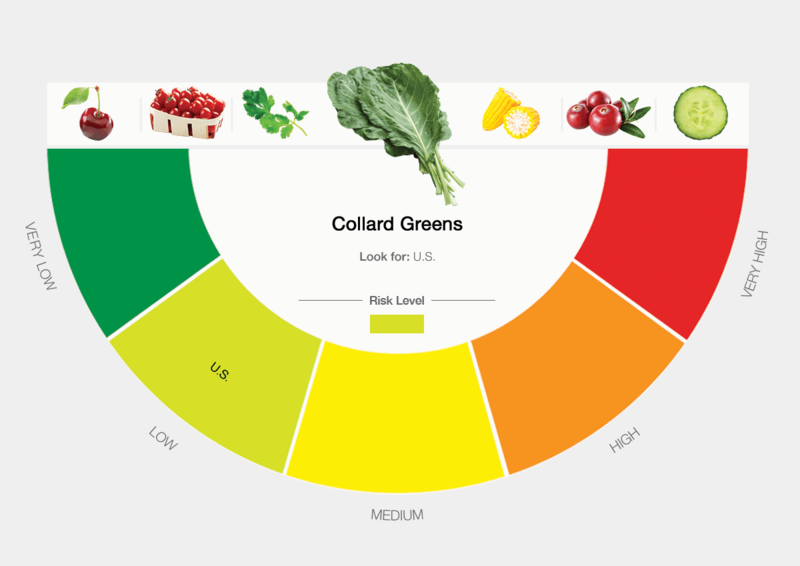 The risks of pesticides are real, but the myriad health benefits of fruits and vegetables are, too. 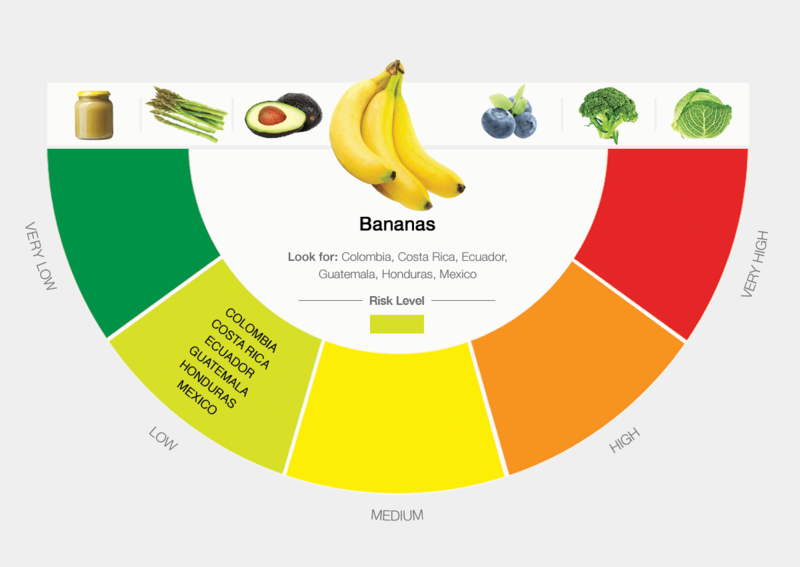 A 2012 study estimated that increasing fruit and vegetable consumption could prevent 20,000 cancer cases annually, and 10 cases of cancer per year could be attributed to consumption of pesticides from the additional produce. Another study found that people who ate produce at least three times per day had a lower risk of stroke, hypertension, and death from cardiovascular disease. “We believe that organic is always the best first choice,” says Consumer Reports’ Rangan. “Not only does eating organic lower your personal exposure to pesticides, but choosing organic you support a sustainable agriculture system.” However, your primary goal is to eat a diet rich in fruits and vegetables—ideally five or more servings a day—even if it’s a type that falls into our very high-risk category. 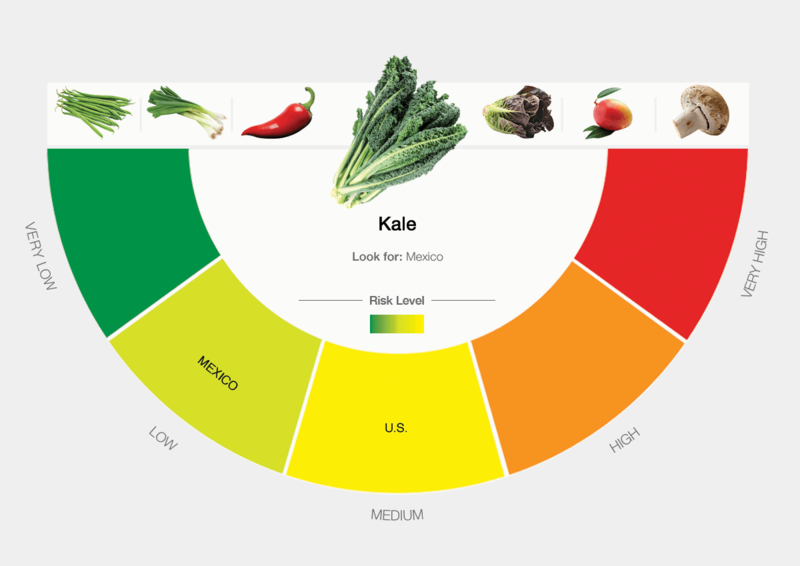 If organic produce is too pricey or not available, our analysis shows that you often have a low-risk conventional option. 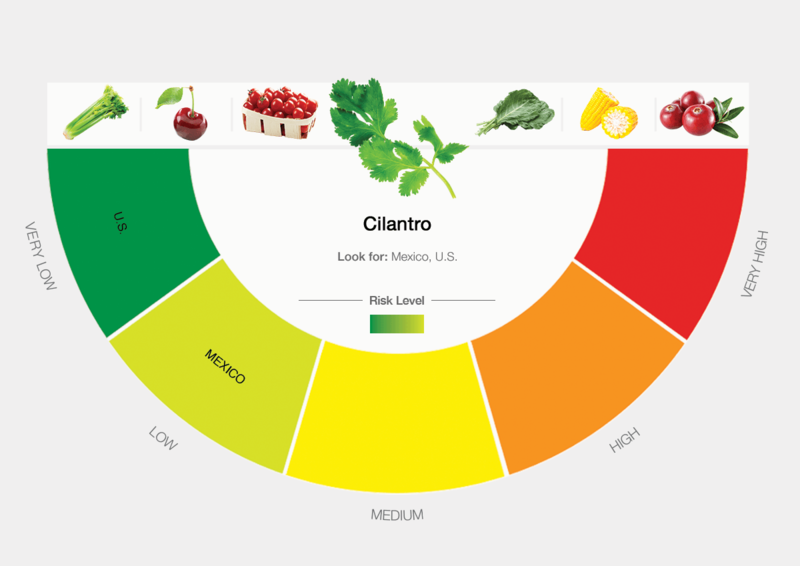 Consumer Reports is an expert, independent, non-profit organization whose mission is to work for a fair, just and safe marketplace for all consumers and to empower consumers to protect themselves.